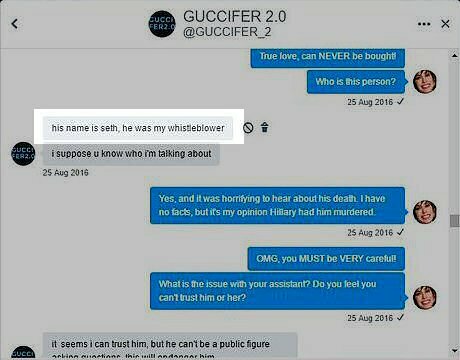 Wikileaks just posted a conversation with Guicifer 2.0 in which he lists "Seth" as his whistle blower. DNC wasnt hacked. It was leaked.